It's my son's birthday tomorrow! He'll be three. What a world. This is an old track that I came across while hunting through old dance music magazine cover CDs and tapes (tapes!!!). The artist put it up on SoundCloud a few years back. Lucky us. It's nothing particularly life-changing but it's a nice groove with some layered drums, deep vocals and synthetic sax sounds. Then in kicks a big organ-esque riff a drum fills. Hands up! Nice folksy Americana or something. Soft and lilting guitar melodies drowned in reverb. Folk songs for the end of the world. Imagine Friday Night Lights but in the 19th Century. That's not quite right but I can't find the right words as this is outside my frame of reference. It's lovely and you should check it out, that should do. Humans of the Sesh once nicked a pic I shopped without credit, but here they're doing some good, in conjunction with Wriggle and Wagwan. 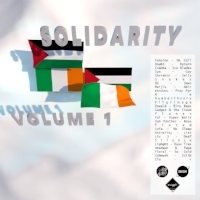 This is a compilation raising money for Addameer, a Palestinian institution that works to support Palestinian political prisoners, and the Irish Palestinian Solidarity Campaign, which provides a voice for Palestine in Ireland. The comp features artists like Shriekin, Gadget & The Cloud and CLU as well as a host of others. There's a range of music here, from explosive club to expansive dubstep, future pop. Highlights (for me) come from Syn and Lighght. Irish designer and producer Melly returns to Major Problems after a few years of providing excellently off-kilter artwork for the label, as well as a curveball 12" as DJ Après Ski. It's a multi-faceted release, with gorgeous synth work reminiscent of Adjowa on Happy Skull, broken beats, expansive not-quite bangers etc. The Beds is the highlight for me but it's all excellent. This is a really cool release that comes from Uruguay artist Lila Tirando a Violeta. Short vignettes that merge explosive sound design and empty space with club-adjacent beats prevail, all while feeling like part of a single suite. Choral church music floats in the background, before reaching for space-like ideas and sounds. Three remixes add further club flavour. Valentino Mora recently played the Terraforma festival in Milan. He had hoped to record his set but technical issues prevented that from happening. To make up for that he's shared this rework of Laurie Spiegel's entrancing 'Drums'. It captures the hypnotic energy of Spiegel's material while adding Mora's own sense of space and purpose. Magical stuff. This album from Chicago's Matchess is the third in a trilogy of releases on Trouble in Mind. 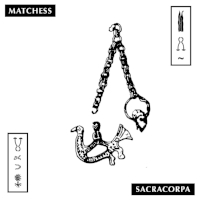 The label is reissuing the other two (Seraphastra and Somnaphoria) and putting the three out together as a nice tape set. The latest is an intriguing mixture of wistful vocals, shoegazey styles and emotive strings. 'Ossify Them' is typical of this heady confluence, evoking strange images of whirling in digital cornfields as the sun peeks out during a summer shower. Grim Lusk is an incredible artist name! This release comes on Glasgow label Domestic Exile and it's a lovely pile of weird and wonky sounds. The genre tag is "Sludgy Quicksand", which couldn't be more appropriate. It's quite murky and, yes, sludgy, club music with a sense of awkward unease. It's largely a melody-free zone, instead focusing on noise and texture, weird samples phasing up and down rather than offering any kind of "tune". I have good news and bad news. The bad news is that from September Bandcloud will be going on indefinite hiatus. I need a break, it ain't easy keeping on top of things every dang week. I also need to focus on real life — that three-year-old I mentioned up top is getting a sibling next month so that's my number one priority. The good news is that there are four more Fridays in August! So there's still time to catch some great new sounds.